Nothing better than a game that lets you eat the pieces once you’ve won…or lost! 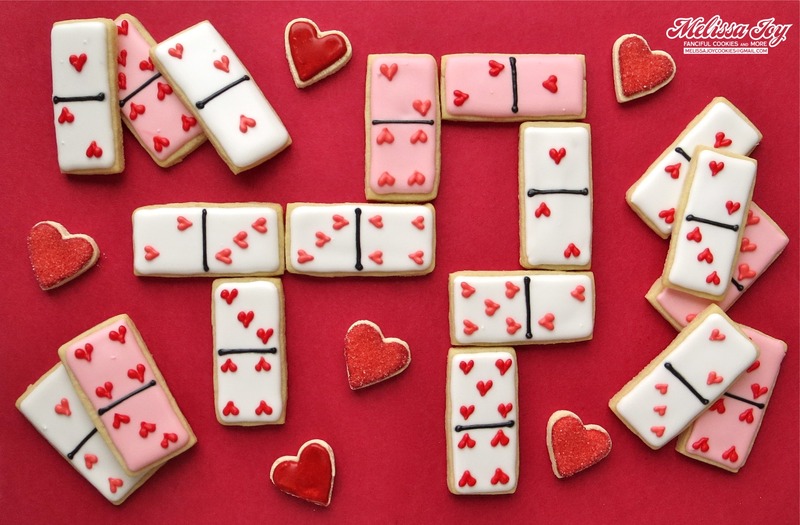 This entry was posted in Valentine's Day Cookies and tagged domino cookies, dominoes, kids, valentine's day cookies. Bookmark the permalink. Thanks Kristi! I’m trying to figure out how it works…definitely a work in progress! Love this idea…the simplicity and the cuteness factor! (Haniela’s), tried to tag you on FB but wouldn’t work for some reason. I’ll try again soon. Such sweet cookies. Well that is strange, but doesn’t surprise me! I never see your posts on FB even though I am a fan. 😦 I am off to see what you’ve done now…hopefully the tag will work once I visit your page! 🙂 Thanks Hani!